Title: No One Can Stop The Vanisher! 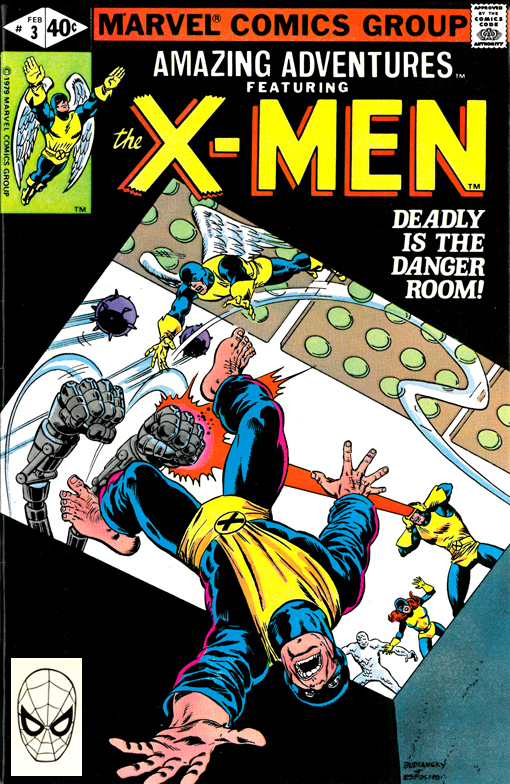 Synopsis: Amazing Adventures #3 reprints the first part of the X-Men's initial encounter with the Vanisher from X-Men #2 (November 1963) and the third part of the origin of Cyclops from X-Men #40 (January 1968). The reprint has a great new cover by Bob Budiansky, featuring the X-Men in the Danger Room training session that precedes their fight with the Vanisher. Of note, this reprint looks like it was completely re-colored from the original, including the change in the Vanisher's color scheme from his original red to green.